In this monograph, Tami Davis Biddle analyzes the historical record of air power over the past 100 years. 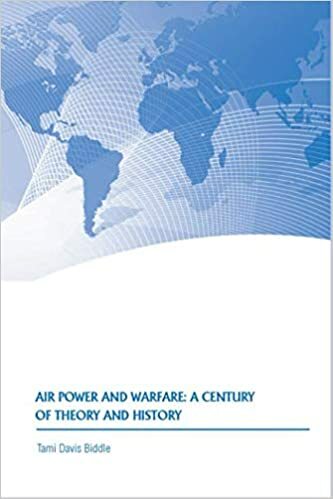 Her monograph, designed for the student of strategy, is intended to provide both a concise introduction to the topic and a framework for thinking intelligently about air power, particularly aerial bombing. Her primary aim is to discern the distinction between what has been expected of air power by theorists and military institutions, and what it has produced in the crucible of war. Aerial bombing, Biddle argues, is a coercive activity in which an attacker seeks to structure the enemy’s incentives—using threats and actions to shape and constrain the enemy’s options, both perceived and real. It is an important and much-utilized military instrument for both deterrence and compellence. In addition, it is a powerful tool in the arsenal of the joint warfighter. Its ability to achieve anticipated results, however, varies with circumstances. Students of strategy must be able to discern and understand the conditions under which aerial bombing is more or less likely to achieve the results expected of it by those who employ it.